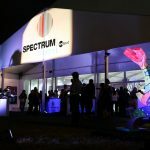 Miami Art Week is the greatest gathering of contemporary art in the world, and at Spectrum Miami, we don’t ever want the festivities to stop—which is why we’re debuting Art After Dark, an evening of full of red carpet arrivals, champagne and hors d’ouevres, live music and painting demonstrations by renowned artists, and more. Given our location in the heart of Miami’s burgeoning Arts & Entertainment District, we’ve partnered with numerous high-end residential communities, including Canvas Condos and Fortune International Realty, which represents Opera Tower, Brickell City Center, Biltmore Park, and various projects in Doral, to celebrate Miami Art Week and the vitality of the art community. Whether you’re a Canvas Condo resident who is serious about culture and community or an out-of-town art aficionado who is eager to explore Miami’s arts and entertainment scene, Art After Dark has something for you. Here’s everything you need to know. 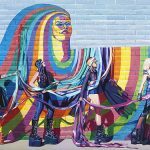 You’re invited to the Arts & Entertainment District’s premier art shows as we celebrate Miami Art Week and the vitality of the art community. When all the other art shows close up shop around 8 p.m., Spectrum Miami, Red Dot Miami, and ArtSpot International stay open late. From the Planet Fashion TV Art Loves Fashion Show to the ArtSpot International fifth anniversary celebration to the Art After Dark soiree, Friday night at the Spectrum Miami and Red Dot Miami tents is going to be popping. This special late night evening is not to be missed.